Dr. Mattson was educated in Canada and the United States, earning a PhD from the University of Chicago in 1999. 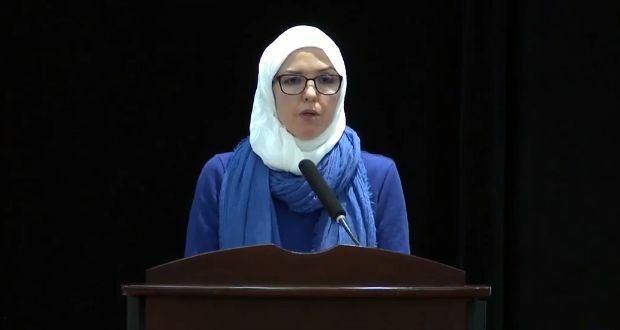 From 1998 to 2012 she was Professor of Islamic Studies at Hartford Seminary in CT where she developed and directed the first accredited graduate program for Muslim chaplains in America, and served as Director of the Macdonald Center for the Study of Islam and Christian-Muslim Relations. From 2001-2010 Dr. Mattson served as vice-president, then as president of the Islamic Society of North America (USA), the first woman to serve in either position. Dr. Mattson is a Senior Fellow of the Royal Aal al-Bayt Institute for Islamic Thought in Amman, Jordan. From 2009-2010, Dr. Mattson was a member of the Interfaith Taskforce of the White House Office of Faith-Based and Neighborhood Partnerships; in 2008 she was on the Council of Global Leaders of the C-100 of the World Economic Forum; from 2007-2008, she was a member of the Leadership Group of the U.S.-Muslim Engagement Project (USME). On January 12, 2019 Ingrid Mattson tweeted her thoughts about the Saudi law on apostasy in relation to the news story about 18 year old Rahaf Mohammed al-Qunun, a Saudi woman who given asylum in Canada after fleeing domestic abuse in her own country and leaving the fold of Islam. A few words about the granting of asylum to Saudi citizen #Rahaf in #Canada I am proud that my country is consistent in standing up for religious freedom. That means the freedom to embrace any religion or to reject any religion. Much is being made of #Rahaf’s rejection of Saudi dress laws and the religion of her family, #Islam. A reminder that Saudi is not the leader of Muslims in interpreting what is or is not ‘Islamic’. SA is also not the ‘birthplace of Islam’. SA is a nation less than a century old.